With more than 250 original full-color photographs, Michael Tellinger documents thousands of circular stone ruins, monoliths, ancient roads, agricultural terraces, and prehistoric mines in South Africa. 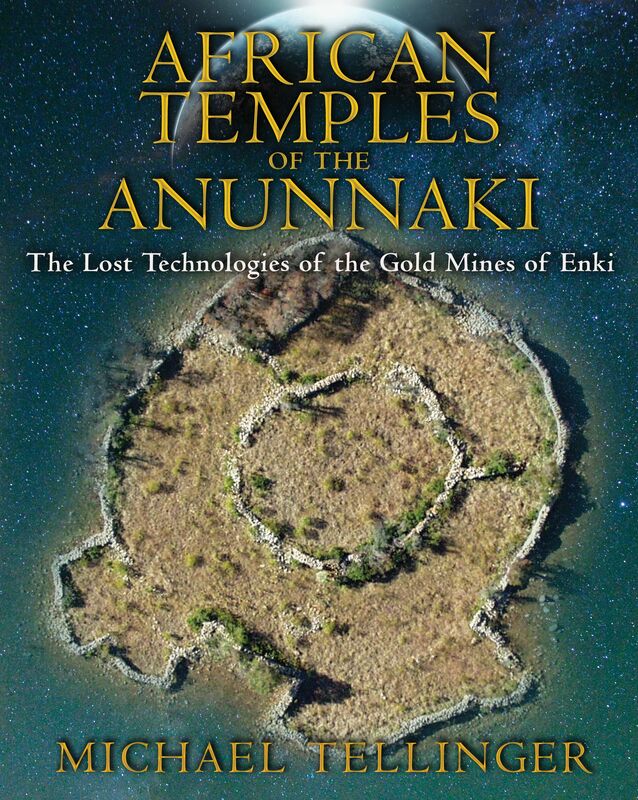 He reveals how these 200,000-year-old sites perfectly match Sumerian descriptions of Abzu, the land of the First People--including the vast gold-mining operations of the Anunnaki from the 12th planet, Nibiru, and the city of Anunnaki leader Enki. With aerial photographs, Tellinger shows how the extensive stone circle and road complexes are laid out according to the principles of sacred geometry and represent the remains of Tesla-like technology used to generate energy and carve immensely long tunnels straight into the Earth in search of gold--tunnels that still exist and whose origins had been a mystery until now. He reveals, with photographic evidence, that the human civilization spawned by the Anunnaki was the first to create many totems of ancient Egypt, such as the Horus bird, the Sphinx, the Ankh, and large pyramids, as well as construct an accurate stone calendar, at the heart of their civilization, aligned with the Orion constellation. He explores how their petroglyphs, carved into the hardest rock, are nearly identical to the hieroglyphs of Sumerian seals. Mapping thousands of square miles of continuous settlements and three urban centers--each one larger than modern-day Los Angeles--Tellinger provides the physical proof of Zecharia Sitchin’s theories on the Anunnaki origins of humanity. UNTIL RECENTLY it was estimated that there are around 20,000 mysterious stone ruins scattered throughout southern Africa. This was a conclusion reached by Roger Summers in the early 1970s after studying the work of earlier explorers like Theodore Bent, who did excellent research and wrote several books about the ruins. In 1891 Bent estimated that about 4,000 ruins were scattered in this part of the world. My own research of the past several years, which includes thousands of aerial photographs and hiking through hundreds of kilometers of mountainous terrain, physically exploring thousands of these stone structures, has shown that there are well over 100,000 of these mysterious stone ruins. This estimate was confirmed in January 2009 by Professor Revil Mason, retired head of archaeology at the University of the Witwatersrand. Mason also suggested that there must have been an ancient population of well over a million people to have erected these structures. The mystery deepens when we look at the extent and complexity of these ruins. These stone settlements are not merely scattered, isolated structures or small clusters of stone remains but rather large, densely populated settlements and communities linked by extensive agricultural terraces—all linked by ancient roads that seem to stretch from Mozambique to Botswana and probably beyond. The extended ancient settlement that connects Waterval Boven, Machadodorp, and Carolina covers an area much larger than today’s Johannesburg. While many of these settlements have been destroyed by forestry, farming, and road works, there are still breathtaking examples of these ruins with walls wider than two meters and three meters high. The entire area of ruins and terraces includes all the countries of southern Africa and covers more than 500,000 square kilometers. But the latest scrutiny of the land using satellite technology reveals even more unbelievable results. No one could have been prepared for the staggering numbers of ruined structures we have discovered. The numbers are so large that they completely and utterly shatter any previous ideas we may have had about the mysterious and vanished civilizations, our ancient past, and the magnificent lost cities of southern Africa.